The Hasta Uttanasana (Raised Arms Pose) is a yoga posture that is a core part of Sun Salutation series. The Raised Arms Pose is often practiced by the yoga practitioners to warm up the body, to strengthen the spine, as well as to open the chest for deep breaths. The pose derives its name from the Sanskrit word hasta meaning “Hand,” and uttana meaning “intense stretch,” and Asana meaning “pose”, hence the Hasta Uttanasana that confers the practitioners with incredible stretching benefits. When performing the Hasta Uttanasana as a part of Surya Namaskar sequence, the individual can chant the mantra “Om Ravaye Namaha” (when Raised Arms Pose is practiced as 2nd Pose) and “Om Arkaya Namaha” (as 11th pose). This helps magnify the effects of the benefits of Raised Arms Pose. Who Should Avoid The Practice of Hasta Uttanasana? ● Anyone who is suffering from a backache, shoulder, or neck injury should avoid the pose till the problem persists. ● Bring the hands together in Anjali Mudra. ● Now, bend your upper body into a backbend. Allow the hips to come forward. Expands and Opens the Chest: In the pose, the arms are raised up, the spine is curved due to bending that encourages opening and expanding of the rib cage and heart. The enlargement of the chest allows you to take deeper breaths that increase oxygen flow in the body necessary for health and vitality. 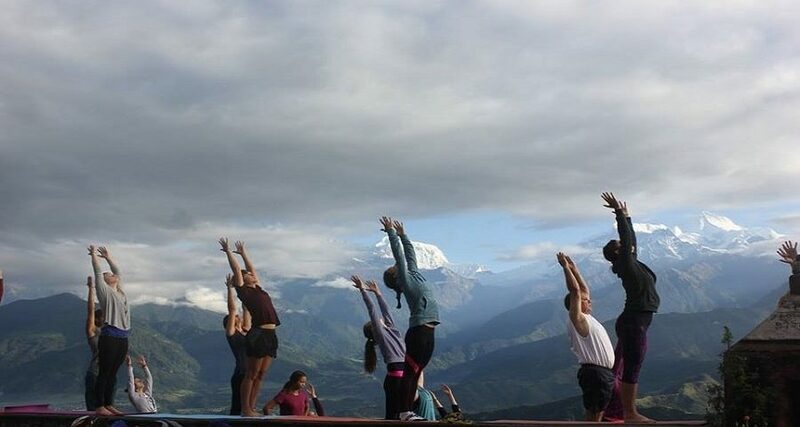 When the pose is practiced during the Sun Salutation series on 11th position, the hands are raised to salute the source of energy– the sun that opens the heart to receive the divine energy. Tones the Back Muscles: Hasta Uttanasana is a counteractive posture to forward bends. The slight bending of the upper body in Raised Arms Pose and deep backbending in its variation pose gives a nice stretch to the muscles of the lower and upper back. The bending helps in releasing the knots and toning the muscles for a healthier back. Balances the Anahata Chakra: The opening of the chest activates and balances the Anahata (Heart Chakra). The Anahata is referred to as the seat of Atman which represents the divine qualities of bliss, love, harmony, empathy, unity, compassion, and more. When this chakra is stimulated, you can access its powers in full glory. 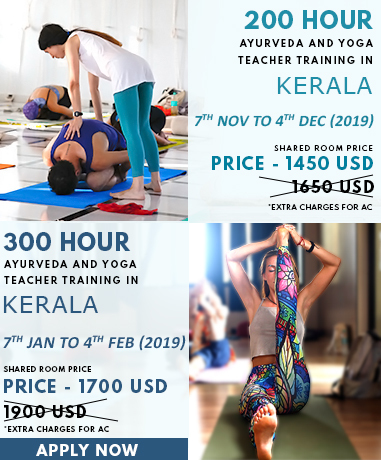 Works on Abdominal Organs and Muscles: As you stretch backward in the Hasta Uttanasana, you reap the healthy digestion benefits of Raised Arms Pose. The back-bending stretches the abdominal organs and muscles. The stretching effect tones the abs and stimulates the functioning of abdominal organs, especially the digestive organ. So, perform Hasta Uttanasana for dual effects: toned abs and smooth functioning of abdominal organs. Calms the Brain: Every yoga posture releases stress, Raised Arms Pose is no different. As the rib cage gets expanded in the pose, the breathing enhances allowing oxygen, nutrients and blood to flow freely. That increase in breathing and blood flow to the brain helps in activating the parasympathetic nervous system– that makes you feel at ease and calm. Induces Meditative State: The folding of the hands overhead in Anjali Mudra coupled with relaxed breathing induces a meditative state – a state where you are aware of the surroundings yet in a deep calm state of mind. This assists you in welcoming more positivity in your life. Perform the basic posture of Hasta Uttanasana for miraculous body-mind benefits.